How Does Gold Really Work? Gold is seen by the investment community or even by society's common sense as a great hedge for uncertain times. In an attempt to normalize liquidity in the interbank loan market, the Fed reduced interest rates and used several mechanisms to provide liquidity. The Lehman’s bankruptcy brought renewed liquidity problems. That meant that the Fed needed to react. Gold (NYSEARCA:GLD) is seen by the investment community or even by society's common sense as a great hedge for uncertain times. However, the reason why this happens is not entirely understood. People tend to see gold as a safe-haven, something that never loses its value. However, that has not been the case during several periods in the past. 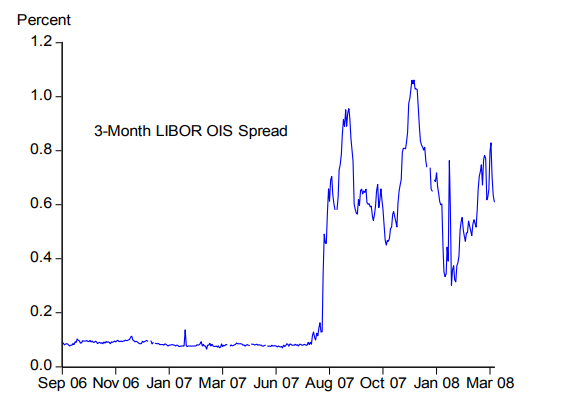 One can argue that the subprime crisis started in August 2007 with a LIBOR spread spike. In an attempt to normalize liquidity in the interbank loan market, the Fed reduced interest rates and used several mechanisms to provide liquidity. The immediate reaction in the Gold market was to rise. Most people read that as a flight to safety movement. However, we might as well see it as a supply and demand rebalancing. As the Fed was decreasing interest rates and introducing liquidity, gold was now becoming scarcer relative to the monetary mass, thus appreciating. As we reached the beginning of 2008 and traders started assessing the possibility of normalization in monetary policy, gold started sliding until October 2008. In the process, it gave back most of its prior gains. Then in September, Lehman Brothers filed for Chapter 11 bankruptcy protection. However, if we look at Graph 2, we can see that this time there wasn't an immediate flight to safety, which was the expected course of action. 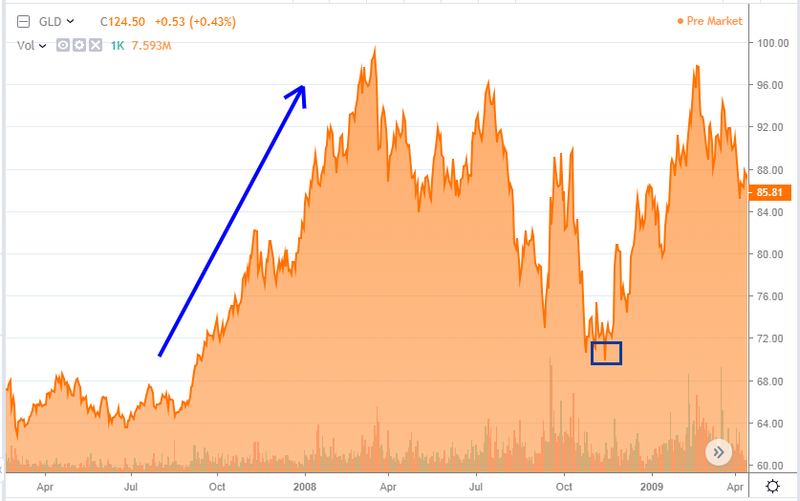 Only in November did the price of gold leave the 2008 lows. The next graph might help in explaining that phenomenon. Lehman's bankruptcy brought renewed liquidity problems. That meant that the Fed needed to react. The Agency Mortgage-Backed Securities (MBS) purchase program, worth $600 billion, and the Term Asset-Backed Securities Loan Facility (TALF), just to mention some, represented a significant increase in monetary mass. In my opinion, that was the real trigger for the gold price. 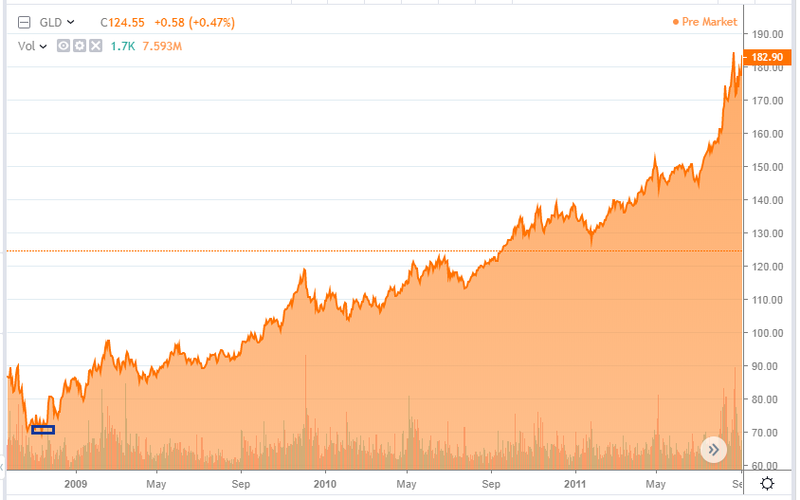 From that moment on, the gold price just kept climbing, until 2011. The facts described in the previous paragraphs do seem to suggest that gold performance is well correlated with troubled times. However, gold takes its value from the fact that it is a scarce commodity, whose supply in the short term is very hard to increase. There are other factors, like tradition, that also play some role in increasing demand. However, it seems to me that the most important factor lies in the monetary easing that tends to accompany uncertainty and crisis. Therefore, there will be other commodities and currencies that will exhibit similar behavior and function well as stores of value. Gold is just the most mediatic of the bunch. On the other hand, in the absence of money printing, gold might not perform well, even during troubled times. 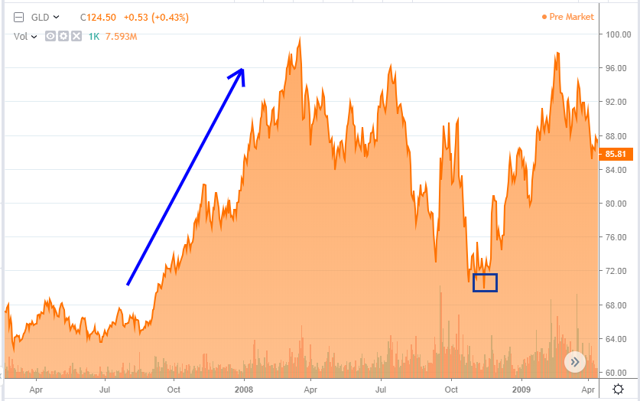 Finally, in the long term, gold supply plays a role, as we saw in 2011. If the price goes up enough to create a gold fever, producers will start looking for new sources of gold, and the market will end up oversupplied. As the money in circulation rises, the most conscious people will go after assets that remain supply-constrained. Gold tends to be among those. That explains why sometimes gold goes down after uncertainty inducing events. 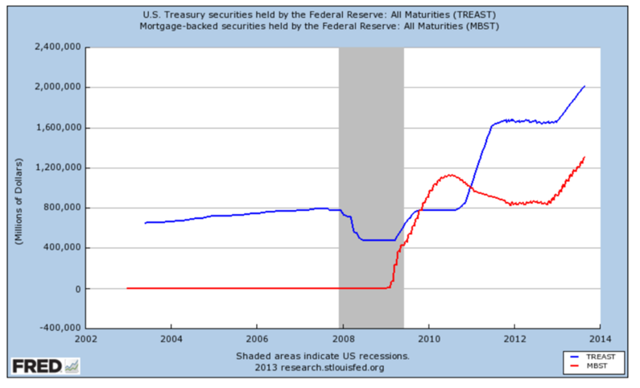 On the other hand, it tends to react to money printing policy decisions. Basically, we are going through yet another boom-and-bust cycle. And, we are getting to the bust part of it. However, we still lack a euphoric moment, a moment where the sky is the limit for asset prices financed mainly by credit. We have a couple of candidates in the likes of leveraged loans, high yield Bonds, or even technology stocks. However, it has failed to materialize yet. The bust will materialize, sooner or later. I have previously formulated one thesis for it, and only time will tell how far-off it was. However, we all can be pretty sure that some form of money (MMT seems the next one) printing will follow. In that type of scenario, gold seems poised to boom. And, gold miners like Barrick (NYSE:GOLD) and Newmont (NYSE:NEM) are likely to follow.